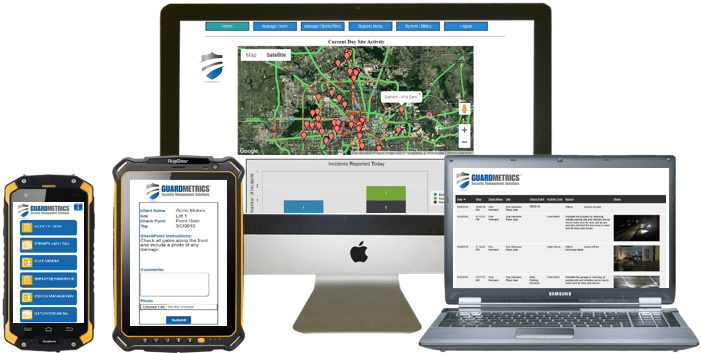 Setting up a security guard management system sounds intimidating, but GuardMetrics makes security guard app deployment simple with easy, user-friendly security guard GPS patrol tracking and mobile guard reporting software. 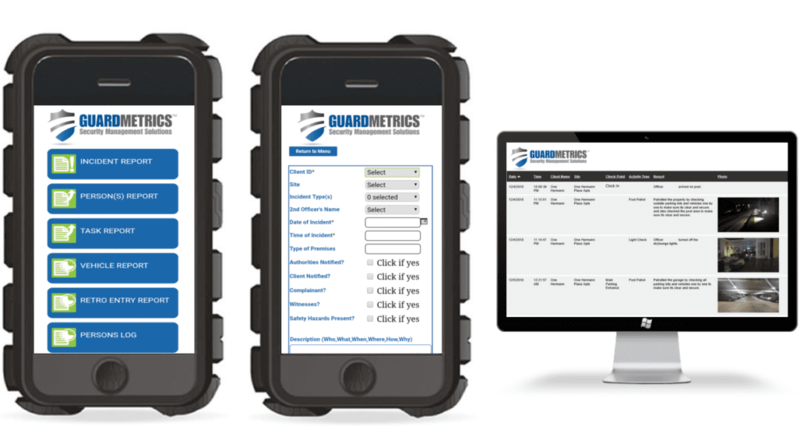 GuardMetrics solutions are designed to be as user-friendly as possible. Our integrated guard tour and patrol tracking, checkpoint scanning, post order management, and simple reporting system improve communication and accountability at all levels of operations, resulting in added value for your customers, better customer retention for you, and a stronger bottom line. Call us for a Demo of this easy security guard software system and app. What makes the difference is our depth of experience in the security guard industry. With decades of experience in both security and technology, the GuardMetrics team has designed this officer management system specifically for security officers, and designed it to help security guard company owners win more contracts and retain more customers. A GuardMetrics expert will walk you through the user-friendly, guard tracking and reporting features and set-up, and then stick with you for the duration. Your security guard software will be deployed quickly, efficiently and easily! Keep it simple with fast and easy security guard management software apps from GuardMetrics. Right away, you can begin offering your security guard clients branded reports, in real-time, and branded to your company. Property damage, unlocked doors, suspicious persons, vehicles, GPS patrol and tour tracking, and simple task management can be noted and viewed instantly from the field using any mobile device–android or iOS–all activities time-stamped & geo-tagged. Call us to help you win new clients and improve retention with user-friendly, mobile security guard software! Whether your client has a single location or multiple sites, our powerful security officer tour and patrol tracking and reporting software offers them complete peace of mind. Through a quick and easy approval process, your clients will be able to log in any time to view their stored, branded reports any way they wish, and see that your company is doing what it was hired to do. This kind of transparency and security guard accountability gives you a clear competitive advantage! Contact GuardMetrics for a Demo of this simple security guard tour and patrol tracking and reporting app and system!